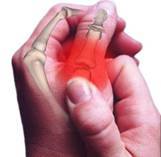 The word rheumatism is derived from the Greek word 'rheuma', which means a swelling. It refers to an acute or chronic illness which is characterized by pain and swelling of the muscles, ligaments and tendons, or the joints Some conditions that were once given the general label of rheumatism or called rheumatic diseases include rheumatoid arthritis, osteoarthritis, lupus, fibromyalgia, and tendonitis. Frequently autoimmune disorders, since they remained unnamed but caused pain as well as affecting other organs, were classed as rheumatism. Illnesses like lupus were particularly susceptible to being called rheumatism. Later understanding of the actions of these illnesses show that the problem is not dysfunction of the joints, but rather immune systems that can attack joints, muscles and organs. Rheumatic diseases are characterized by loss of function among one or more connective or supportive structures of the body. Rheumatic diseases can also affect internal organs. The main cause of rheumatism is the presence of toxic waste products in the blood. The liberal use of meat, white bread, sugar, and refined cereals leaves a large residue of toxic wastes in the system. When the strength is low, the toxic wastes are concentrated around the joints and bony structure, where they form the origin of rheumatism. Yoga has many aspects. Yoga practices can be adapted to meet the needs of the individual at whatever age or level of fitness. Stress has been identified as increasing the intensity of pain and anxiety experienced by sufferers. Yoga breathing and other yoga techniques help one to cope and even overcome the problem. To maintain or improve the health of joints they need to be taken through their full range of movement. Yoga postures can be practiced lying down. Yoga practices teach one to live in the present moment - an ability that promotes healing. Healing requires energy and much of our energy is wasted on problems we can do little about. Yoga gives us a means of replenishing this energy. Regular practice of yoga asanas or postures improves physical posture, flexibility, stamina and strength. Yoga has much to offer to contemporary humans and it contains clear ideas and practices which can be implemented by many people who wish to live a healthy, happy and meaningful life. ln short, the ideas and practice of yoga are the "missing" operating manuals for the successful functioning of the human structure. Yoga asanas stretches the vertebrae to the maximum, and subjects the abdomen and its organs and muscles to a powerful massage. The nerve centre and cells along the spine are stimulated as they receive a richer supply of blood. By practising yoga your spine will gradually become more elastic and as it affects the kidneys it is a powerful way of eliminating the toxic waste that is the primary cause of arthritis and allied complaints. Waste is the foundation of all disease. Spine Twisting Pose is the only exercise that twists the spine from top to bottom at the same time. As a result, it increases circulation and nutrition to spinal nerves, veins, and tissues. It improves spinal elasticity and flexibility of the hip joints. It helps to cure lumbago and rheumatism of the spine, improves digestion, removes flatulence from the intestines, and firms the abdomen, thighs and buttocks. Head-to-Knee Pose helps to balance the blood sugar level. It improves the flexibility of the sciatic nerves, ankle, knees and hip joints; improves digestion; enhances the proper functioning of the kidneys; and expands the solar plexus. The Stretching Pose relieves chronic diarrhea by improving the circulation of the bowels. It also increases circulation to the liver and spleen and improves digestion. It increases the flexibility of the trapezius, deltoid, erector femoris, and bicep muscles, sciatic nerves, tendons, hip joints, and the last five vertebrate of the spine. This is called Mountain Pose because it promotes the experience of stillness, strength, relaxed power, and immovable stability associated with mountains. Remember that experiencing yourself in stillness is the most direct way to experience yourself with clarity. This pose, and coming back to this stillness after other poses, is one of the very best ways of becoming acquainted with stillness. This asana strengthens back, abdomen, arms, and shoulders, and increases flexibility in the middle of the back. Improves oxygen intake, increases circulation to the spine and improves digestion. The Locust Pose is an excellent back strengthener. It is especially recommended before doing poses that require extreme flexibility simply because it builds the strength needed to support the flexibility that will accrue over time. Paschima" means 'behind', 'back' or 'posterior' and 'Uttana' means to stretch out in Sanskrit. "Paschimotana" means stretching the posterior regions of the body. This is a fine stretching exercise for the back of the whole body, from the heels to the top of the spine. In one continuous movement, almost all the posterior muscles of the body, particularly the hamstring muscles at the back of the thighs and the muscles of the small of the back, are fully stretched and relaxed. It awakens Kundalini shakti which enters the mouth of sushm. It stimulates blood circulation making the body energetic and the mind peaceful. This asana curves rheumatism, arthritis, constipation; piles etc.It is good for reducing fat on arm, stomach and thighs. • Inhaling slowly through the nostrils bring right hand to the back. Bend it at the right elbow and then raise the back of the palm up towards the neck. In this process the back of the palm is pressed against the spine. The fingers of the right hand face upwards. • Now raise left hand upwards bending at the elbow and put the left palm on the left shoulder. Then, first try to touch the fingers of the left hand with the right hand. If there is any difficulty in touching the fingers to some individuals, they should try as much as possible and then stay there. • Try to raise the elbow of the left hand straight upwards (with the lock). Breathe normally. This is a Gomukh Asana. • Retain this locked position for about 30 sec. You can either hold the posture while the breath is held or you can try holding the posture while breathing gently through the nostrils. If you choose to breath, then hold the posture for thirty seconds to a minute. • While releasing the posture, loosen the grip on the fingers and then unlock the fingers gradually. Then slowly bring both the hands on the thighs and rest. In Sanskrit "Pavan" means air, "mukta" means release or free. Pavanmuktasana balances the wind in whole body. This posture releases the muscles of the lower back and relaxes the body. This-asana regulates wind in the body. It relieves constipation and indigestion. It reduces obesity and excessive fat of the abdomen. • Lie on your back. Hug your knees into your chest, while you keep your head, neck and shoulders relaxed and on the floor. • Close your eyes or gaze beyond your knees and relax your back muscles. • Hold the posture for as long as it feels good. Practice this posture after backbends to release the muscles. • While inhaling release both the legs. This gives a full backward bend to the whole of the spine and all the muscles of the back from the neck to the lower back or lumber region. Bhujanga, Locust and Dhanur forms a series of exercises beneficial to the body when practiced together. • Lie on your stomach with your arms stretched on both sides. Place your right or left cheek on the floor. Bend the knees, bringing the feet up. Bring the heels close to the buttock area. Reach back to hold the ankles with your hands. The knees and the ankles should be closer to one another. • Exhale and return to the floor smoothly. Keep holding the ankles while you return to the first position. Put the cheek back on the floor and breathe normally. • Leave the ankles and let the legs gradually return to the floor. Bring the arms and hands to the floor on both sides and relax for 6 to 8 seconds. You have completed one round of bow posture. • Inhale as much air as you can. Straighten up your neck and head. Holding the breath and keeping the arms straight, arch the entire body upwards. Lift the head, chest and thighs off the floor. Remain in this position for 5 to 6 seconds. Holding the toes (alternately) with hands, pulling them (the toes) up to the (corresponding or opposite) ears, (and thus) assuming the shape of a stretched bow. This is called Akarna- Dhanurasana. It is known as Akarna-Danurasana because in its final position the body resembles the shape of a stretched bow. It is also useful in arthritis and rheumatic condition. • Sit, stretching both the legs together in front, hands by the side, palms resting on the ground. Fingers should remain together pointing forward. • Now hold the big toe of left leg with the help of fore finger and thumb of right hand. Similarly hold the big toe of right leg with left hand. • Pull the right leg with the left hand till the toe touches the right ear. • After few seconds come back to the original position. • Now holding the right leg at big toe by fore finger and thumb of left hand raise it upto the left ear. Again after few seconds come back to the original position. This completes one round of Akarna-Dhanurasana.